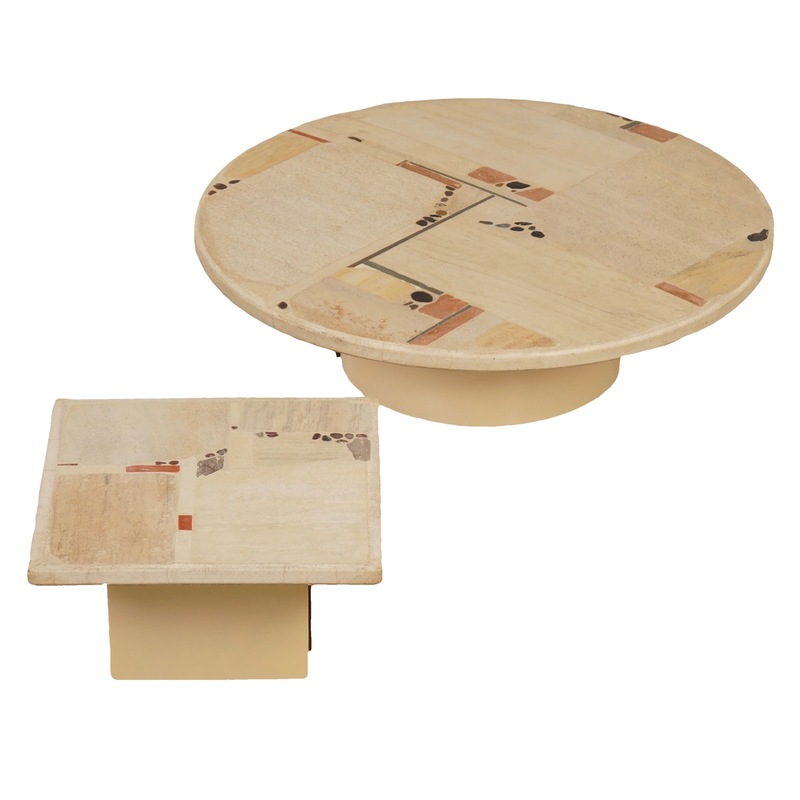 Set of two white stone coffee tables designed and created by Paul Kingma in 1982. In the table tops one can see a beautiful shimmer (see photos). These handmade tables are considering their age still in very good condition, some normal wear and small cracks may arise in making (during drying of the concrete, see photos). The base is made of iron (white) and the blade is made of natural stone in different colours, pebble, bronze inlaid in concrete. The previous owner put a dollar coin in the table top because he did a lot of business in America. Both tables are marked Kingma 1982 (see photos). Dimensions large round coffee table: h x d = 33.5 x 120 cm and small square coffee table: h x w x d = 33.5 x 60 x 60 cm. The price is for the set.